Darius Henderson Watford signed 12x8 inch photo. Darius Henderson, Watford, signed 12x8 inch photo. 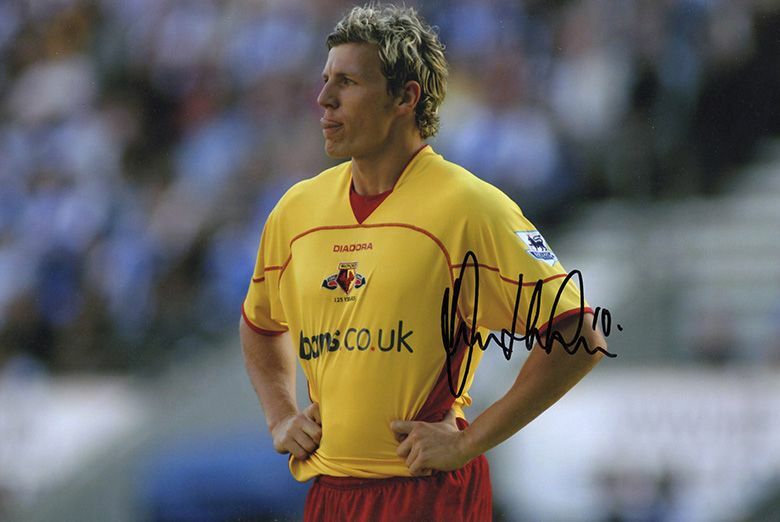 12x8 inch colour photo personally hand-signed in black sharpie pen by Watford striker, Darius Henderson. Henderson formed a prolific partnership with Marlon King in the promotion-winning campaign of 2005-06, scoring 14 of the 35 league goals that the duo managed between them. His physical style of play caused plenty of problems for defenders.